Mianus River Park, like the rest of New England, owes it rocky landscape and other characteristic features to the last of the powerful glacial ice sheets that crushed and carved out Connecticut, leaving its indelible mark on the face of our land today. As the detailed maps below indicate, Mianus River Park's soil is a direct result of the actions of the glacier. 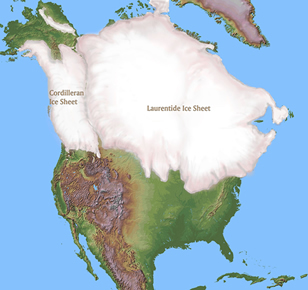 The surficial and soil parent maps clearly exemplify the overwhelming influence of how the massive weight and subsequent melting retreat of the huge ice sheet created the landscape and soil present today. The ctECO map library is a comprehensive online explanation of Connecticut's natural resource and environmental information. All soil information included in the CT ECO map library is from the Natural Resources Conservation Service (NRCS) Web Soil Survey (WSS), which is based on information originally published on the set of Soil Survey quarter quadrangle maps that cover Connecticut. The source files for the Mianus River Park Soil Maps featured on the four tabs below are based on the series of maps focused on Town of Stamford and Greenwich (link to series). Wetland Soils include "any of the soil types designated as poorly drained, very poorly drained or alluvial and floodplain." The minimum size delineation is approximately 3 acres. An on-site examination of the soil profiles by a Certified Soil Scientist is necessary to confirm the presence of soil designated as Inland Wetlands. These classifications are derived from observations of water tables, soil wetness, landscape position and soil morphology. In many soils, the depth and duration of wetness are related to the quantity nature and pattern of redoximorphic features. Redoximorphic features are soil characteristics associated with wetness and result from the reduction and oxidation of iron and manganese compounds in the soil after changes in water saturation. Parent Material is the term for the general physical, chemical and mineralogical composition of the soil formation. Many soil properties relate to parent material. Proportions of sand, silt and clay, types and amounts of rock fragments, density and structure of the soil are all important parameters in determining the correct soil parent. A soil surveyor uses parent material to help interpret soil boundaries and the performance of the material below the soil. Glacial Meltwater Deposits (stratified deposits) which are concentrated in the valleys and lowands. Glacial Ice-Land Deposits (tills and moraine) primarily consist of sand, silt and boulders. These were derived directly from the ice and generally drain poorly. They are the most widespread surficial deposit on Connecticut. 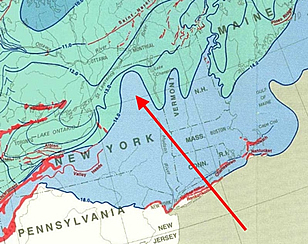 Glacial Meltwater Deposits (stratified deposits) on the other hand were laid down in glacial streams and lakes which occupied the valleys in Connecticut as the last huge ice sheet melted away to the north. They often consist of layers of sands, gravels and clays with very few boulders. They are more permeable and make better aquifers than ice-laid deposits. 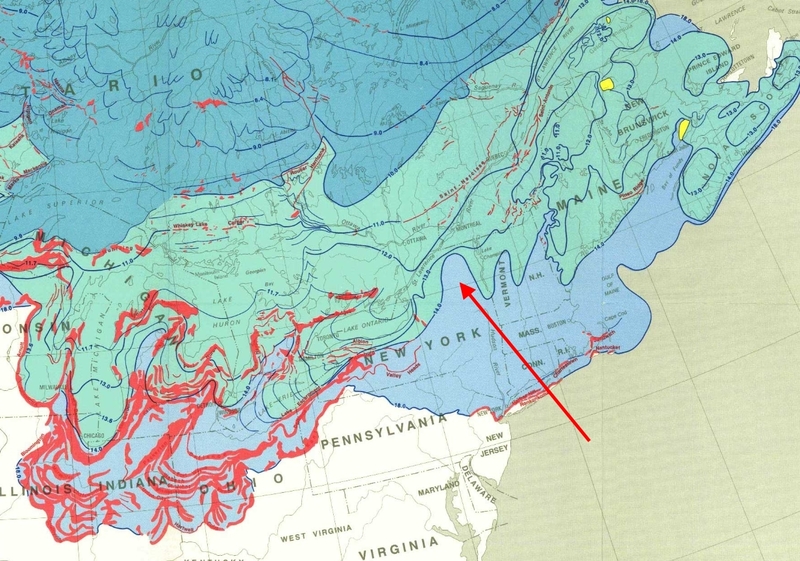 In addition, Connecticut's has scattered throughout the state, Post Glacial Sediments which are primarily floodplain sand, silt and and swamp deposits. They are typically thinner than the glacial deposits they overlie. Deposits of floodplain alluvium are largely composed of sands, gravels and silts that have been reworked from glacial deposits but are mixed which organic material which greatly increases their fertility. * Alluvium (from the Latin, alluvius, from alluere, "to wash against") is loose, unconsolidated (not cemented together into a solid rock) soil or sediments, which has been eroded, reshaped by water in some form, and redeposited in a non-marine setting. Alluvium is typically made up of a variety of materials, including fine particles of silt and clay and larger particles of sand and gravel.